Coralberry and snowberry are hardy, adaptable understory shrubs native to North America that naturally spread to form low drifts unless you intentionally contain them. 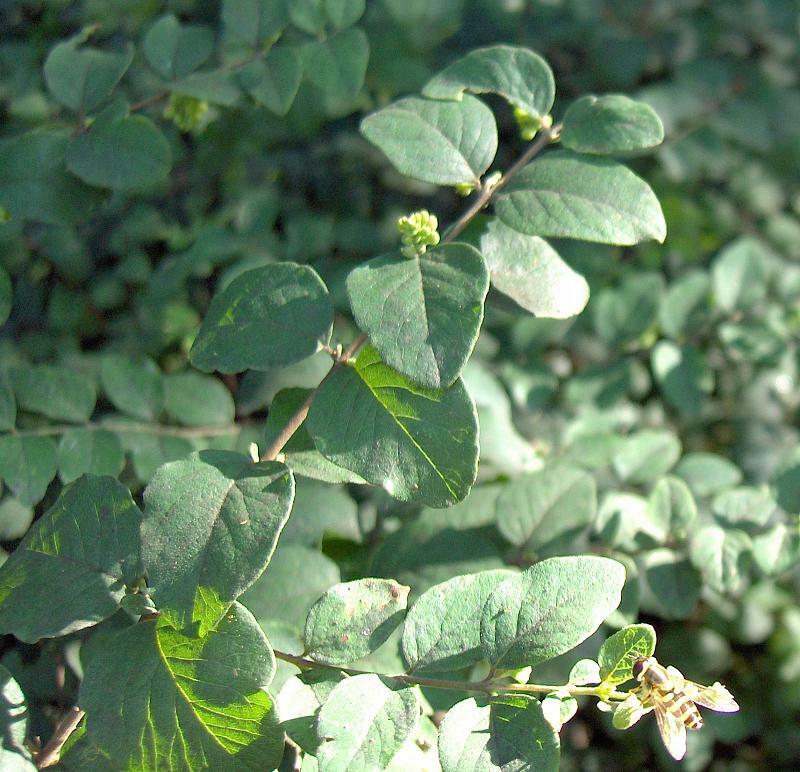 Both have loose habits with thin, arching stems that are covered in small, dainty, dark green leaves in the summer and clusters of berries in the winter. The main difference between the two is berry size and color. 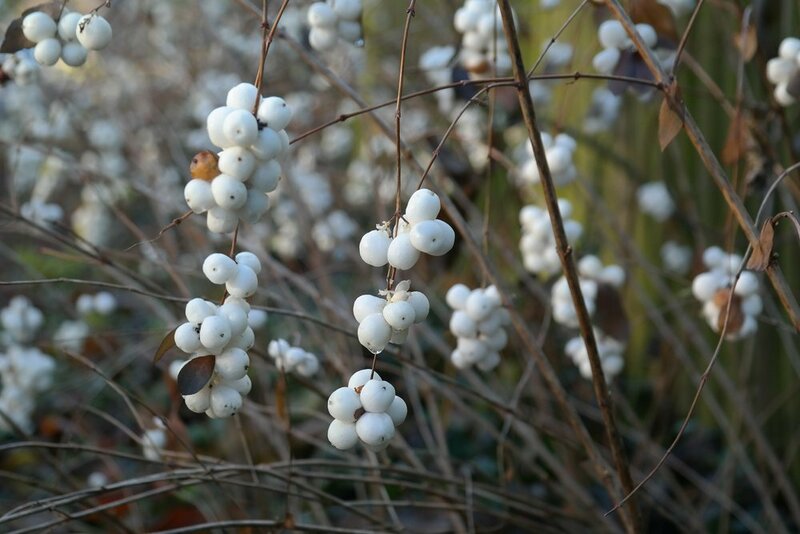 As you might guess, snowberry has white berries and coralberry has pink berries. Snowberry tends to have larger berries up to 1/2" across with coralberry closer to 1/4". There are also hybrids available with larger pink berries and colors that fall between the white of snowberry and the typical dark pink seen on coralberry in the wild. Since these shrubs are naturally found in Indiana, in addition to providing visual interest through the winter they also help feed wildlife. Everybody wins! Foliage has clean appearance through the summer.